Welcome fellow crafters! You have stumbled across Mindlesscraft. What is Mindlesscraft you wonder? Mindlesscraft is a family friendly, economy driven survival server. 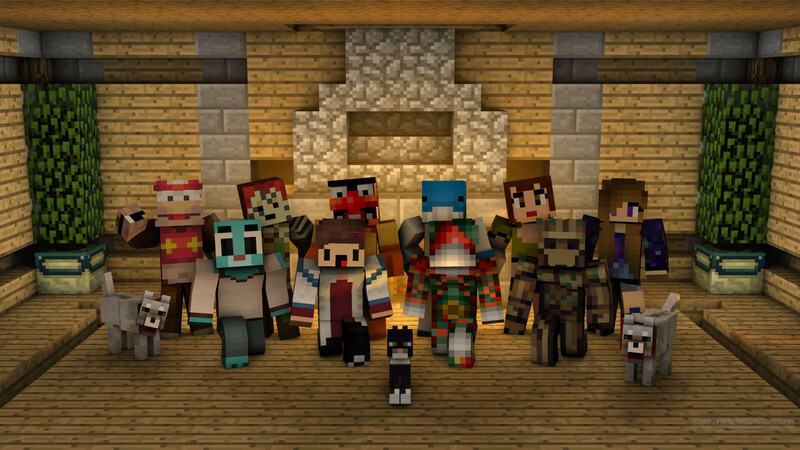 We have a lovely community of players, friendly staff, and great plugins! Our focus is on making this a great experience for you. We also have simple rules to help everyone get a long. Please take the time to read them as this will help you enjoy a smooth playing experience here. There are plugins to assist in protecting your builds. We can track all interactions, and undo any damage instantly. We have a great team of staff who enjoy having fun and meeting new players. They will ensure all issues are taken cared of. This server was created on June 25, 2016. MindlessCraft has reached a new hit record of 95 unique hits today! MindlessCraft has reached a new hit record of 85 unique hits today! MindlessCraft has reached a new hit record of 71 unique hits today! MindlessCraft has reached a new hit record of 69 unique hits today! MindlessCraft has reached a new hit record of 57 unique hits today! MindlessCraft has reached a new hit record of 55 unique hits today! MindlessCraft has reached a new hit record of 45 unique hits today! Vote on PlanetMC to earn cash in game!